We have been providing locksmith services in the Eastern Suburbs area for over 9 years. Over this time we have seen the trends and strategies used by criminals to perform break-ins and malicious property damage. This experience now allows us to know exactly how to prevent them for happening to you. The greater region of Waverley council encompasses the suburbs of Dover Heights, North Bondi, Bondi Beach, Bondi Junction, Bondi, Waverley, Queens Park, Tamarama and Bronte. Throughout all off these areas are homes both large and small, vasts blocks of strata apartments and numerous commercial businesses. As the best locksmith in Waverley we protect them all. Fusion Locksmiths are a team of fully qualified locksmiths. With our expert workmanship we provide excellent service. Our jobs are always completed to the highest standards. But don’t just take our word for it. 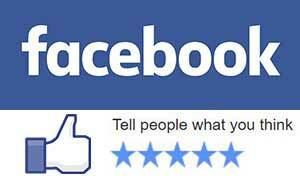 Check out our 5 star reviews from our satisfied customers from all across Sydney. We have earned hundreds of them. Have a locking issue or need an upgrade to your security system? We have your covered. We provide all types of locks and locking devices, security systems including alarms and CCTV. Also we can repair, replace and install all devices required to suit you budget and security needs. Whether you own four story mansion with oceanic or harbour views, a weatherboard cottage in a quiet street or work at one of the four schools in Waverley, you need adequate security. Security to protect your family, guests and valuables. This is exactly what we, you local Waverley locksmith provide. 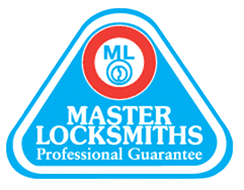 As members of the Master Locksmiths Association of Australasia, we are well informed on relevant legislation and association standards. You can be confident knowing you are getting the best locksmith services available when you choose Fusion Locksmiths. Like it or not, it can happen to all of us. If this is where you find yourself right now, locked out of your own property, all you need to do is call. It doesn’t matter what time or day or night you are locked out of your house or business, it’s a horrible feeling. The very minute you realise you have lost your key, or the front door slammed shut with you outside, it hits you. Fear not. Contact us and Fusion Locksmiths will send one of our professional mobile locksmiths on the way. We specialise in lockouts and are available 24 hours a day, 7 days a week. Being local to the Waverley area allows us to also get to your fast. In majority of cases, we can get you inside with zero damage to your property. We always tell you before we do anything, so you know up front. No surprises from Fusion Locksmiths, just superior service at competitive prices.